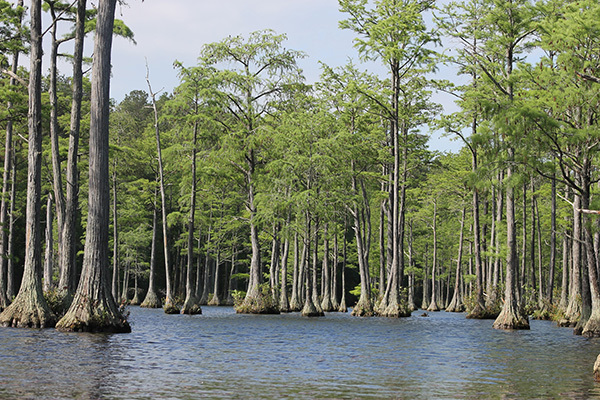 I have always loved to paddle cypress wetlands, and Lake Juniper, a 360-acre lake within the boundaries of Cheraw State Park, had been on my to-paddle list for some time. In early May, three friends and I decided to make a weekend of it and stay at the park. Two of us camped, while the other two stayed in the park cabins. On arrival Friday afternoon, we found the campsites to be large, clean and most with great views of the lake. The cabins were very nice and located in a wooded area. 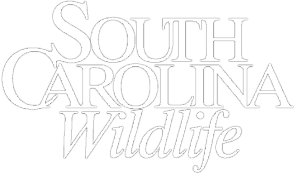 If You Go: Cheraw State Park is located at 100 State Park Road, Cheraw, S.C. 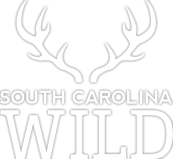 The park has eight cabins, as well as seventeen lakeside campsites available for rent, and a nice boat ramp for private boats of up to ten horsepower. 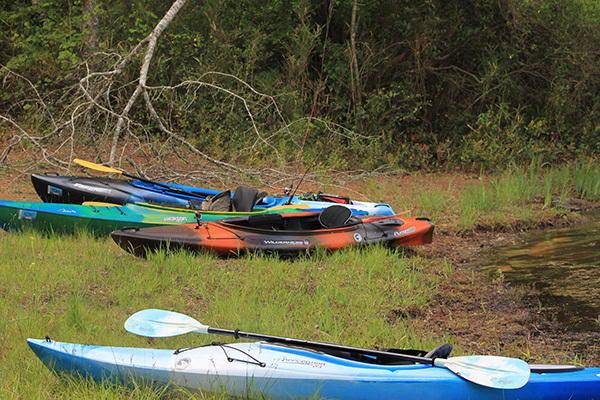 Kayaks and paddleboards are also available to rent. When we arrived Friday afternoon, Tropical Storm Ana was just off the coast of South Carolina, and the forecast for our two-day stay was windy, with evening showers and thunderstorms. Friday evening was picture perfect, and we enjoyed a cookout lakeside at the campsite. Up early Saturday morning, we put in at the park's boat landing. At this time, the winds were light, with some cloud cover. Bearing left off the ramp, we paddled toward the cypress wetlands. Through GPS mapping, we knew it would be about a two-mile paddle to the area. Not long into our trip, the sun came out and shined upon us as we made our way along, mostly following the shoreline. 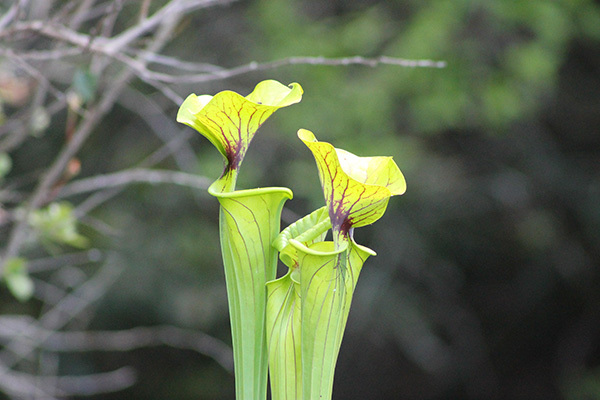 Soon we began to see small coves and backwater covered in lily pads. 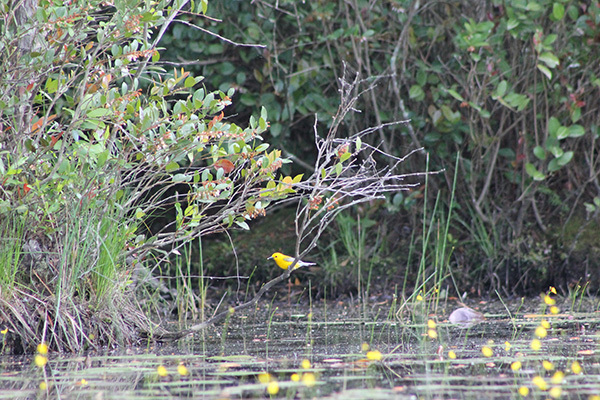 The first such area provided us with magnificent views of a prothonotary warbler (Protonotaria citrea) and numerous pitcher plants. As we paddled, we were rewarded with the many sights and sounds of nature, highlighted with Carolina blue skies and bright sunshine. 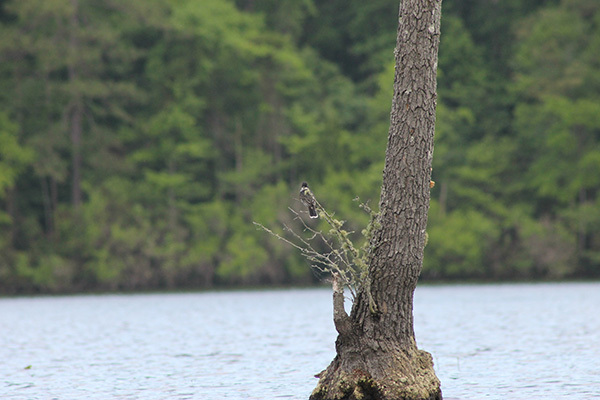 Eventually the large cypress wetland came into view, and almost as if on cue, a majestic osprey (Pandion haliaetus) appeared at the top of a cypress tree as a sentinel watching over its habitat. 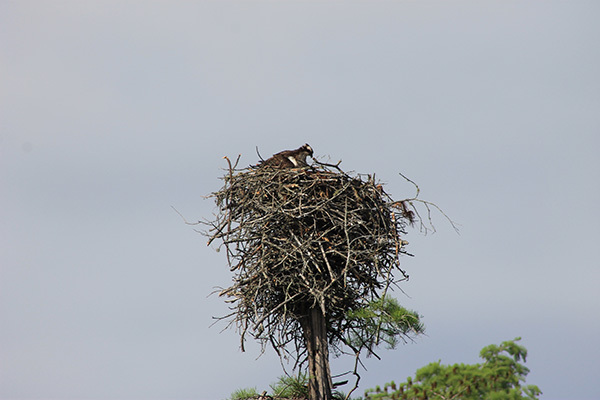 The osprey, in fact, was watching over its occupied nest, which also soon came into our view. We watched for a few moments from a distance away so as not to disturb the nesting birds. Soon we were treated to the site of one osprey adding structure to the nest. The cypress trees were beautiful and abundant. 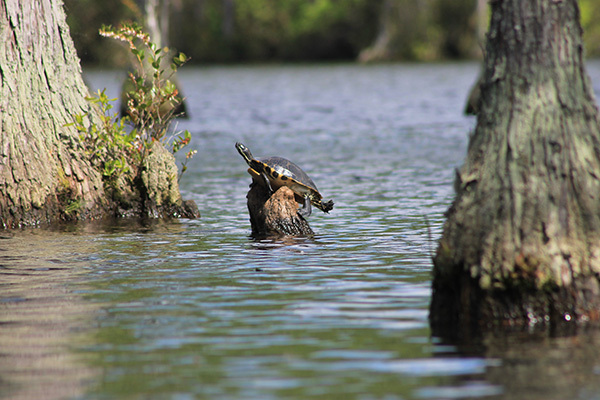 As we paddled through the area, we saw many slider turtles and Eastern kingbirds (Tyrannus tyrannus). Tropical Storm Ana began to rear her head as the winds began to pick up and cloud cover intensified. So our group decided to paddle back. We paddled into a strong headwind all the way back, which made tracking more difficult to say the least. All said however, we made it back without issue, and no rain while on the water. Our round trip total mileage was 4.2 miles. It was a great day to be in a kayak surrounded by nature.